The biological and medical importance of the endogenously generated gaseous transmitter nitric oxide was recognized by the 1998 Nobel Prize for Medicine/Physiology. It is now clear that several “gasotransmitters” exist and this class of mediators also includes carbon monoxide and hydrogen sulfide. Translational research on gasotransmitters has exploded over the past years. Drugs that alter the production/levels of the gaseous mediators themselves or modulate the signaling pathways they act by are already in use in clinical use, and still more are being evaluated in preclinical models and clinical trials. 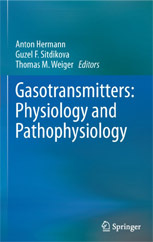 Special Issue: Themed Section: Pharmacology of the Gasotransmitters. 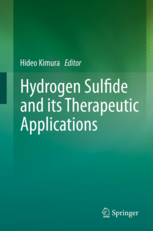 "Hydrogen Sulfide and its Therapeutic Applications"